Dosing buffer - Value Tech Ltd. 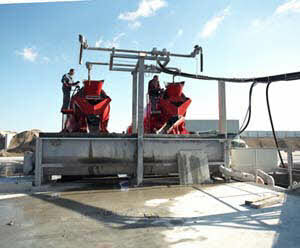 If returned concrete of multiple truck mixers have to be discharged, the galvanized dosing buffer is the right solution. Generously designed up to six truck mixers can discharge simultanously Higher returned concrete volumes are collected and feeded continously to the recycling system.